Everyone is looking for the silver bullet to propel their small business into the stratosphere. Yes there are many possible tools and shiny objects. One solid tool which gives and gives yet is often ignored is right in front of you: a book. 1. 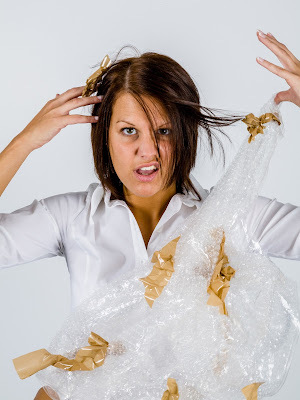 What is my area of expertise as a small business owner? 2. List 10 benefits or advantages you can give to others from your unique skills and viewpoints. 3. Return to your list and think of stories or personal experiences you have had to illustrate these advantages. You have just created the outline for your book. People love stories and takeaway lessons from your experiences. I wrote a book for Joe Leninger who traded for ten years in the Eurodollar Pit of the Chicago Mercantile and made a million dollars every year for ten years. Our book, Lessons from the Pit, was built around stories and lessons. You can write the book yourself then go to an editor to get it polished. Or you can speak your book. A book will build credibility, get you speaking gigs and much more. The key is to create value for your reader. I suggest a 40,000 to 50,000 word book which is about 200 pages. This length has substance yet is not overwhelming to the reader. Whether you publish your book with a traditional publisher or self-publish it, I encourage you to write a book proposal. Editors and literary agents use this specialized document to evaluate your idea. If you write one, you will have the tool you need to successfully approach them. If you do the book yourself (self-publish) a book proposal will help you develop a business plan for your book. I’ve written many proposals and read many more of them. You can learn the details using my free book proposal checklist at: http://terrylinks.com/bookcheck If I can help you, reach out to me. My email address is in my twitter profile. 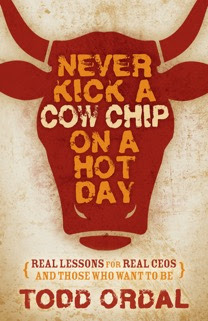 Todd Ordal has written an example of a solid business book called Never Kick A Cow Chip On a Hot Day (Real Lessons for Real CEOS and those who want to be). Notice Todd’s different title and his quality writing combined with an excellent cover design and a growing presence in the marketplace. I acquired this book for Morgan James Publishing. You can learn a great deal studying the details of this book. Then do likewise with your own business. W. Terry Whalin, a writer and acquisitions editor at Morgan James Publishing, lives in Colorado. A former magazine editor, Whalin has written for more than 50 publications including Christianity Today and Writer’s Digest. He has written more than 60 nonfiction books including Jumpstart Your Publishing Dreams. His website is located at: www.terrywhalin.com. Terry has over 165,000 twitter followers. Terry, this is great advice for all business owners, big and small. And, with today's self-publishing ease, there's no reason not to create one. Writing it then having it edited is a great way to go. Thanks for sharing! Really useful article, thank you Terry. Wonderful book cover and many thanks too for the checklist. I have often said that every business owner including officers should borrow Ideas from one another. I am not surprised that you are on it, Terry!